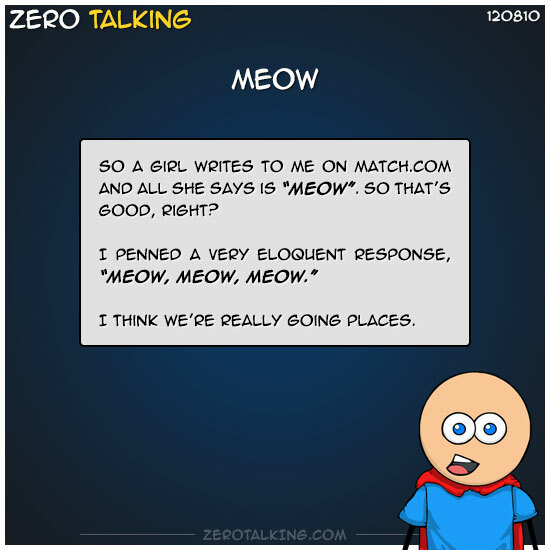 So a girl writes to me on match and all she says is “meow”. So that’s good, right? I think we’re really going places.